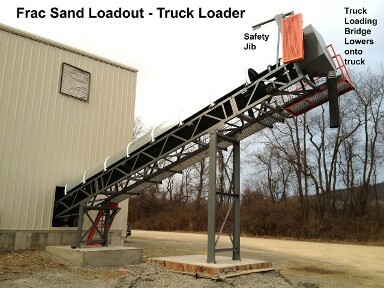 Frac Sand Stacking Conveyor loading bins. 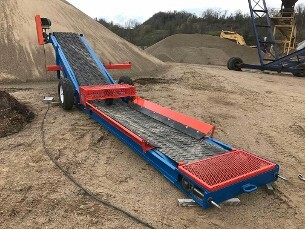 Direct Drive Diesel Conveyor or Diesel Hydraulic Conveyor. You ask for it, we build it! Call Today 814 701 2111. CEMA C 5" or 6" Heavy Duty Idlers and Canvas Covers make our Frac Sand Conveyors and Frac Sand Radial Stacking conveyors heads above the rest. We design and build standard models of frac sand conveyors as well as custom plants, truck and rail car unloaders. 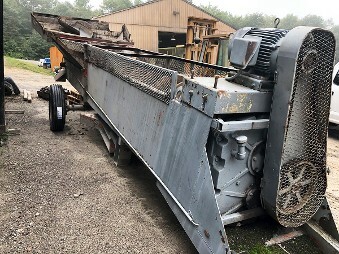 Rail Car Unloaders In Stock! Turn key truck loadouts. Load faster and with precision. Load from Ground Feed or Bin! We build modular trippers. Phone today for a quote! 814 233 4647.